2014 is drawing to a close. We added more tools to our kits, both literally and in terms of experience-based knowledge. Lesson #1: Cash up front. We enjoyed being able to make art for and with friends, both old and new. Tim Kapler. 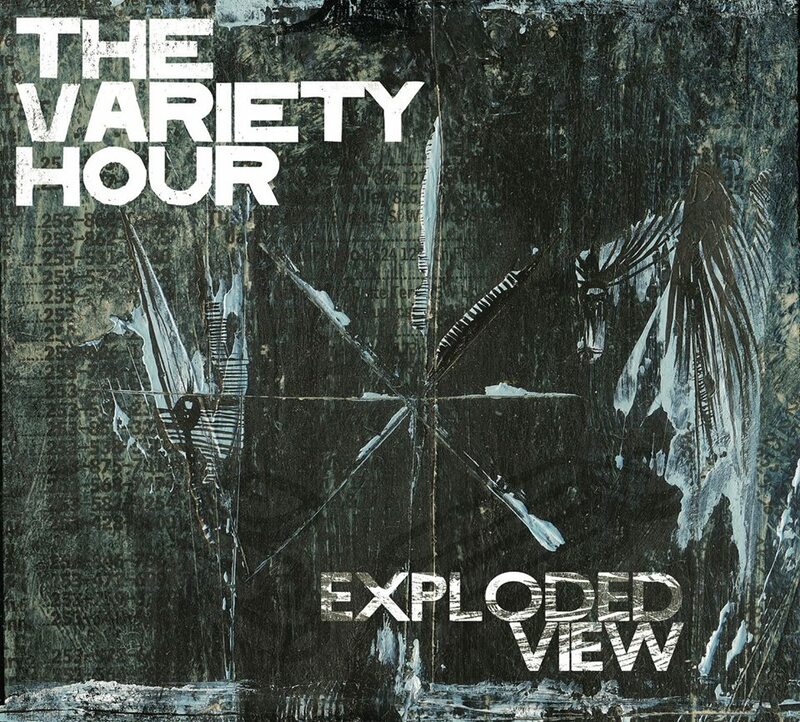 Album Cover Art: “Exploded View” by The Variety Hour. Paint, paper, digital media. 2014. We produced a lot of great work that will be made available to the public soon. 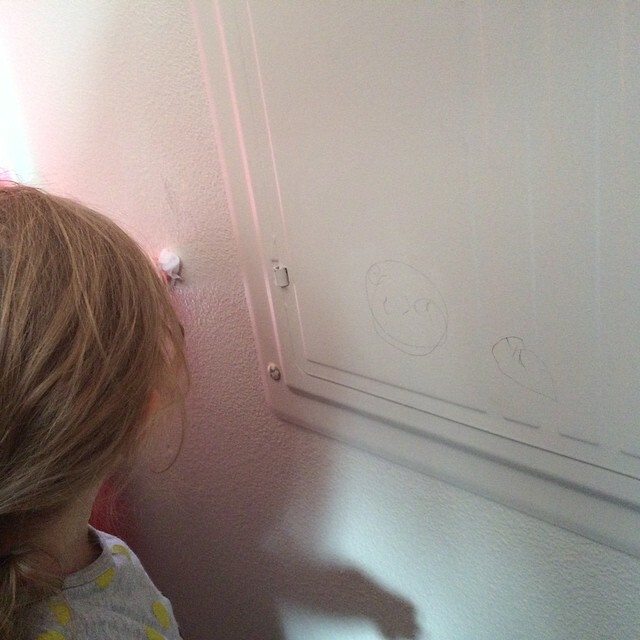 And although her work remains largely unseen on the website, we are grateful for our youngest collaborator. She challenged us to find new working methods and continues to inspire new subjects, styles, and compositions. 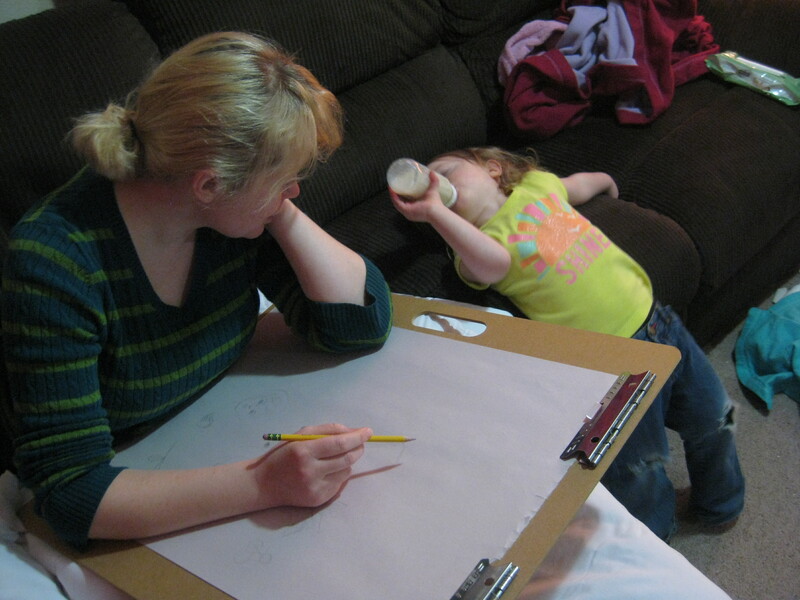 Suzanne working and Isobel helping: January 2014. Photo by Tim Kapler. No Mine! Studios has morphed in shape and mission. Due to time constraints, and well, life, Suzanne has assumed creative leadership of this project. Tim will continue to contribute work as he can. And Izzy, well, she’s practicing to take the art world by storm. Banksy-in-training/ Isobel cleaning up evidence of something she didn’t do. Thank you to everyone who has been a part of No Mine! Studios’ journey so far. As 2015 approaches, we see even more chances to make cool art and an impact in our community. Cheers to what’s ahead.